I bought a new truck today. Yes, they said I never would, and I really wasn't planning to buy until a couple of months down the road, but the dealership gave me a free coffee, so I felt obligated. Bergstrom [Every Brand] of [Everywhere in Wisconsin] had a 2011 Chevrolet Silverado 1500 with the exact (lack of) options I was looking for, and had it just down the road from where Nancy and I were staying in Appleton on a short vacation. 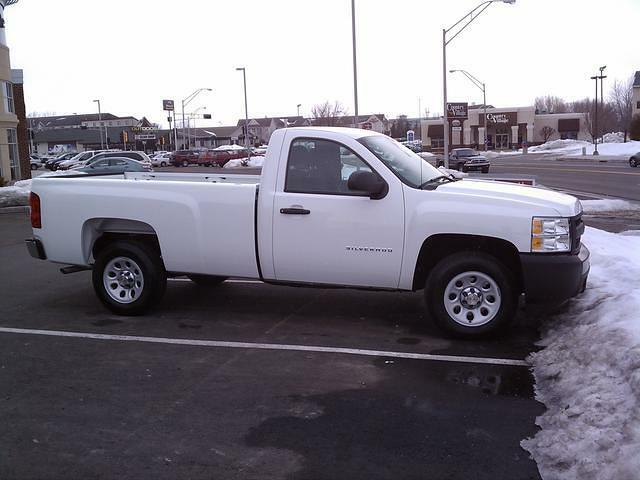 It's a 2WD W/T (work truck) model, regular cab, 8' box, with only two options: locking rear axle and cruise control. It does come with some nice standard options, like A/C and an AM and FM radio, but that's pretty much it. Motivation comes from the 4.3-liter V-6, which is what I was looking for as this will be my commuter car when I'm not driving my 5.7-L Blazer. The rebates were pretty slick, though not quite as slick as those on the remaining 2010s last month. $5005 worth of rebates and a $500 Visa gift card put it right around $16,800 (plus tax and title). I can live with that, and it leaves me plenty of room in the budget to add some baubles, starting with Line-X bed coating. So with that, I finally enter the ranks of people with modern cars. Albeit in my smug non-conformist way. HIPSTER PICKUP ALERT. What is this thing marked "airbag"? 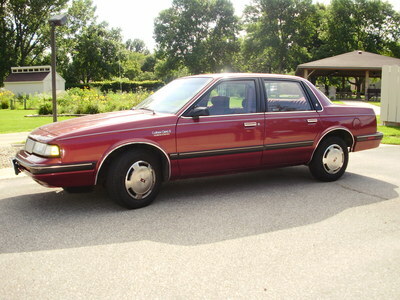 The newest addition to my car collection is Grandma's 1992 Oldsmobile Cutlass Ciera S. By my quick count, this is the 14th car I've owned. Nancy and I drove it back from Iowa, and it ran great. I think it enjoyed stretching its legs on the interstate. Since the Neon was handed down to me, I've had trouble with the instrument panel not working. For the last three years I've been driving around with a ScanGauge II instead of gauges. Today I finally got around to doing the fix described on the neons.org forum. I pulled the PC board, and found the problem right away. 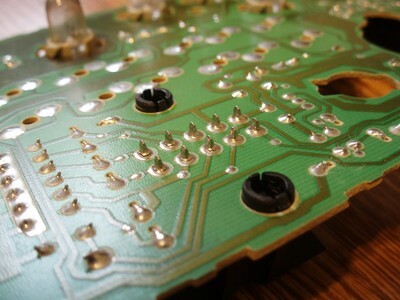 Notice the cracked solder joints around most of the pins on the instrument panel power/data connectors. The fix is easy. 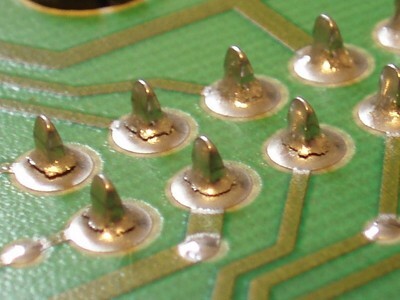 I re-flowed the solder on all of the pins, adding solder where necessary. All my gauges are back and should work fine for another 265,000 miles. I might start looking for a truck again this summer. Here's the stuff I've jotted down so far.